Like the two rampaging, avaricious assholes at its zeitgeist-y financial drama’s core, Showtime just can’t get enough of Billions. 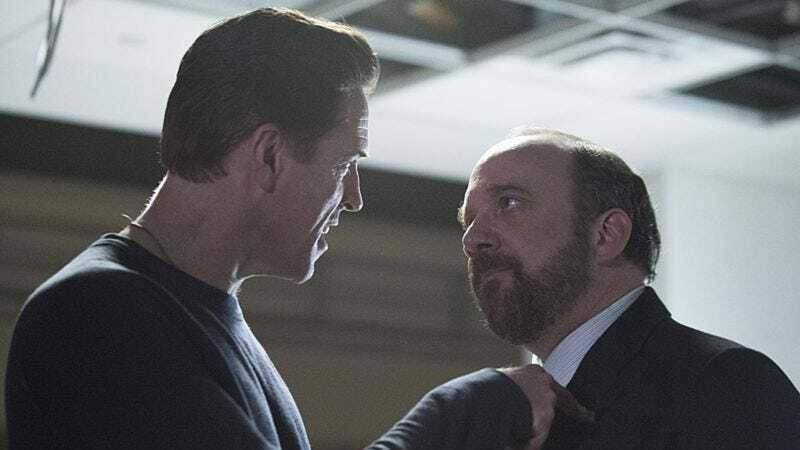 The premium cable network has just announced that it’s renewing the Paul Giamatti and Damian Lewis-starring series for a third year, just four episodes into its second season’s run. That’s per The Hollywood Reporter, which notes that Billions has formed a tight Sunday night drama block with Lewis’ former Showtime series Homeland. Pitting his shady mogul Bobby Axelrod against Giamatti’s indiscriminate pit bull investigator has earned the series 4.4 million viewers a week, plus an early renewal vote of confidence from the network.